The winner of the ‪#‎DogPeople‬ Photo Contest is Andy Norwood of Tennessee, whose wife Shannon is shown here with their son’s dog Pal! Congratulations to the Norwood family! They will receive a signed copy of Rheta Grimsley Johnson’s new memoir The Dogs Buried Over the Bridge, a $50 gift certificate to Parnassus Books, and Blair will donate $50 in their name to Barkie’s Legacy in Ocoee, FL where their son Patrick volunteers. Thank you to all of the animal lovers who voted in the photo contest. Your votes made a difference to the dogs at Barkie’s Legacy. Tomorrow is Halloween! On the eve of this holiday when all souls are said to roam free we present the tale of one lost soldier who found his way home. The story of a soul returning to comfort a loved one in time of grief is common among people sharing tales around the kitchen table or campfire. Of all the emotions that bind a spirit to earth, the greatest of these is love. One day in the late 1940s, Earl came down the stairs of his Pisgah, Alabama, home carrying a heavy duffel bag. He was dressed smartly for his trip to a military base in Alaska, more than four thousand miles away. His mother reached for him one last time, holding tight and bracing herself for the long separation. 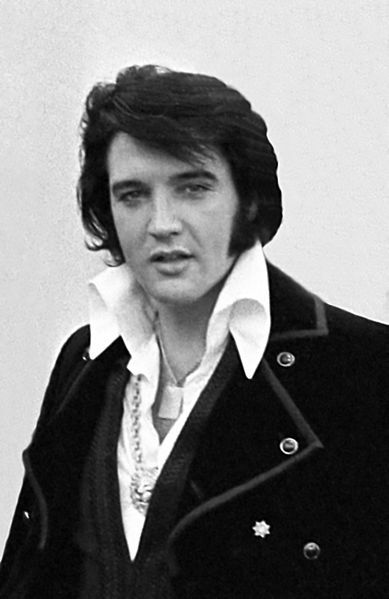 Earl hoisted his duffel bag back over his shoulder and, reminding his mother of the date he would return, started out. As he passed through the doorway, down the porch stairs, and out through the yard, he whistled his favorite tune. He was always whistling. It was his way. Following a long but uneventful trip to his faraway post, Earl began his tour of duty. He never completed it. One morning, his buddies could not rouse him. He had died in his sleep. As the weeks and months passed, most of the stunned family made peace with their grief. But Earl’s mother “was just grieving herself to death,” her granddaughter remembers fifty years later. “She was constantly upset and worried about Earl.” She couldn’t understand what had happened to him. Was it a mistake? His body had come home in a closed coffin. His mother had not seen him. She could not touch him, stroke his once-soft face while confessing her love to him in the long night during the wake. The next morning, they had lowered him into the naked earth, then gently pulled his choking mother away. In her sorrow, Earl’s mother had only his parting words to cling to—words that had made it clear not only that he was coming home, but even when he was coming home. She thought of him every day. Maybe he’ll write, she found herself thinking. She felt secretly eager when mail time drew near each morning, even leaving the eggs frying on the stove or the laundry swinging by one pin when she heard the crunch of gravel heralding the postman’s approach. She moved her chair to the window and spent more time looking down the road than she did mending or snapping beans. “Light’s better here,” she told the family. The day Earl was due to return, she just didn’t feel up to going to the church singing. She stayed home. That evening, she fell into bed but couldn’t sleep. The grief seemed to wash over her afresh. In the middle of the night, she threw the tangled covers off and set out for the outhouse. In the light of a nearly full moon, she had no trouble picking her way across the roots and ruts of the worn path. It was too cool to bother looking for copperheads in the damp grass. She pulled the plank door open and let it close partway. The baying of dogs in the distance sounded like a dirge. Even here, perched on a cold seat, she thought of Earl. He once got stuck in the outhouse, she remembered, before they bought a real seat to cover the crude hole. As she started back to the house, she heard whistling. Earl’s tune! Clear as a fiddle, too. She stopped and steadied herself against an old dogwood. Looking up toward the house, she saw a soldier coming through the yard with a duffel bag on his back. His whistling grew louder as he neared the steps and sprang up onto the porch. It was Earl! As he went in the front door, she ran in through the back, which allowed a view straight through to the living room in the front of the house. She saw Earl, real as rain, walk into the living room. Years later, the old home between Flat Rock and Pisgah was torn down and its lumber salvaged to repair other houses. But no matter to one Alabama soldier. Home is where the heart is, and his is with Mama. Check back for more terrifying legends in our Haunted Halloween Countdown or pick up one of the spooky books they come from. Only 5 days until Halloween! 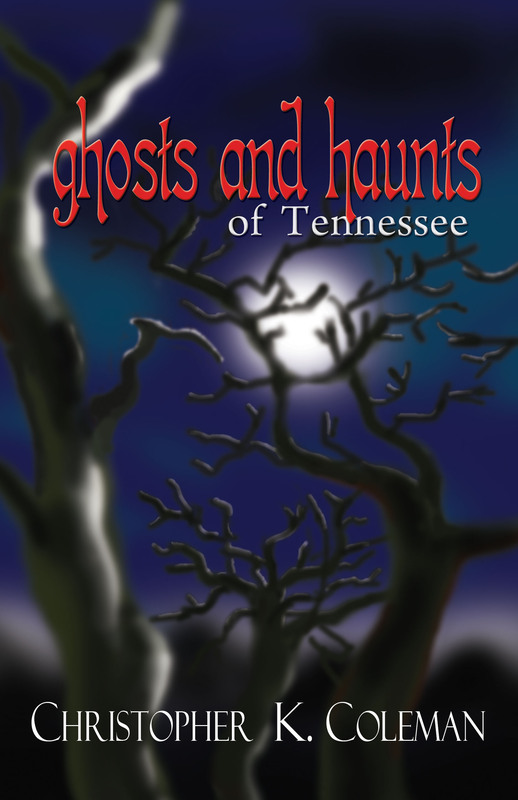 Get pumped with this tale about the friendly spirits inhabiting a house in Tennessee. John Read was the presiding judge for two different county courts and a highly respected local citizen. In 1860, he built Oakslea Place on a quiet branch of the Forked Deer River. Back in those days, the house was deep in the countryside and surrounded by a stately stand of oak trees on a large tract of land…. As the years passed, Jackson grew up around Oakslea. Sections of the plantation were parceled out for other houses. Today, Oakslea is situated in the middle part of Jackson on a quiet, tree-lined boulevard. One of the oldest homes in town, it has accumulated a long history. It has also accumulated a few things not of this world. In 2004, Oakslea Place came into the possession of its present owner, Richard Testani. From the first, Testani recognized the house’s uniqueness and set about restoring it with a view to turning it into a bed-and-breakfast. Meanwhile, he began to suspect he was not the only one to possess the house. After Oakslea opened to guests and others began having similar encounters, Testani realized that some of the house’s dearly departed had not quite departed. At first, the new owner experienced things that might be easily dismissed as the products of an overactive imagination—the sounds of footsteps and of voices whispering. Then he began to notice things not so easily dismissed—the strong scent of a woman’s perfume and the distinct aroma of fresh flowers. Finally, the master of Oakslea started seeing full-blown apparitions. Nor was Testani the only one to witness the elegant bed-and-breakfast’s spectral residents. Guests staying in the four well-appointed suites experienced an assortment of paranormal phenomena and even had ghosts materialize before them. Despite all the spectral activity, no one at Oakslea has expressed any fear at having to share their stay with the resident spirits. In fact, by all accounts, the ghosts who haunt Oakslea have impeccable manners. Over the years, the owners of Oakslea Place employed house servants. Hampton, by all accounts, was one of the home’s more devoted domestics, serving as butler there for most of his adult life. He has appeared to the present owner on a number of occasions and has occasionally materialized before visitors and staff. Apparently, his spirit still looks after Oakslea and its guests, making sure things run smoothly. Hampton’s dignified demeanor in death, as in life, adds a touch of class to the ambiance. Hampton is by no means the only spectral presence known to haunt Oakslea. Two female apparitions are present as well. It is believed that they are mother and daughter and that they are former residents. It is to these ghosts that Testani attributes the various olfactory phenomena commonly experienced at Oakslea. At unexpected times, the scent of a woman’s perfume will flood a room. Similarly, guests may come into a room thinking it contains a large bouquet of flowers, only to discover that no such arrangement is there. Testani and his guests have continued to experience the kinds of spectral encounters that the new owner first noticed—the sounds of footsteps and of barely audible voices, as if a conversation is being held in another room. Testani has even felt the touch of unseen hands. What ghosts are responsible for these phenomena and how many of them haunt Oakslea in this manner remain two of the house’s several mysteries. A common element among all the uncanny experiences that guests and staff have had at Oakslea Place in recent years is that the specters definitely seem to be the protective sort. Apparently, these particular ghosts grew so fond of their abode in life that they have chosen to also abide there in the hereafter. Handmade sitting chairs have long been a staple of the antique and crafts business in rural, wooded communities. When Allen Eaton published Handicrafts of the Southern Highlands in 1937, there were several noted chair makers in eastern Tennessee. Mary Ownby, of Catlinburg, was a highlight of Eaton’s book. She crafted her chairs from beginning to end. Mary’s first step in making a chair was finding the right tree, which she cut herself. She then split the wood and turned the posts. Mary made her own chisels. And, like other chair makers, she bragged that she had made her first chair with a pocketknife. Other well-respected chair crafters in the 1930s were Ebb Bowman, hard at work in Creeneville, and Noah McCarter in Sevierville. Along with those produced by Mary Ownby, Bowman and McCarter chairs are highly prized by today’s collectors. 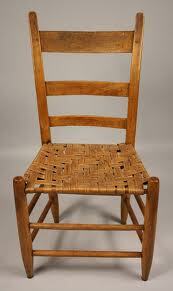 Long before the craftsmen of the 1930s began to put together chairs, other southern chair makers had adapted the standard slat-back chair into an item distinct from manufactured Hitchcock chairs. The rear posts were shaved down and curved backwards. The result was a seat that folks now call a mule-ear chair. It is similar to the type made in the early 1800s. Sometimes there were two slats across the back, sometimes three. But the most famous handcrafted sitting chair made in the region hasn’t been located recently. When it is found, you don’t want to be the one sitting in it. The chair is cursed in a peculiar way and is apt to draw blood. A true antique, the so-called Vampire Chair of East Tennessee was made by brothers named Eli and Jacob Odom up in the high mountains of Carter County near Shell Creek. The brothers seem to be of no relation to Solomon W. Odom, a highly regarded former chair maker in the same area. Eli and Jacob Odom came to Shell Creek in 1806, it is believed, and began making chairs that they traded for salt, sugar, meat, and coffee. The brothers knew that a chair was only as good as its joints, and they had a secret for making perfect joints. They carefully fitted seasoned hickory rounds into green maple posts. The green wood shrunk over the rounds as it dried, holding them tightly into place. Old wood into new, that was all there was to it. The brothers’ chairs became famous because they held together so well. Hundreds of chairs were made and traded. By the 1840s, the chairs Eli and Jacob made were being carried down the mountain and taken into stores where they were sold for hefty profit. Resort hotels lined their long front porches with the mule-ear chairs from Shell Creek. Wagonloads of the chairs were eventually driven south and the slat-back seats of Carter County found their way into the finer homes of Chattanooga. Through normal trade, a pair of chairs made their way into the domicile of a woman who lived alone in a little cabin high above the Hiwassee River near Charleston, Tennessee. This woman was nobody’s sweet little old lady. The woman who lived high on a cliff above the river was a vampire. There is no record of her exploits, nor of the reasons her neighbors held for killing her. All that is known is how she died and where she was buried. In 1917, a county crew was widening the upper road on the river bluff just outside Charleston. Not far from Oostanaula Creek, they unearthed the body of an adult woman who had been buried long before. She’d been buried, apparently, in the middle of the road. The body, according to the late Frank G. Trewhitt, was wholly petrified by the high level of minerals in the ground water there. Also petrified was the wooden stake that had been driven through the woman’s heart prior to her body being buried in the road. It was once tradition to refuse sanctified burials to known murderers, witches, and other perceived villains of society. Scoundrels and witches were at times buried at crossroads, so that their eternal rest would be anything but peaceful. It was the practice to bury evil persons where foot, horse, and wagon traffic would create a continual clamor overhead. 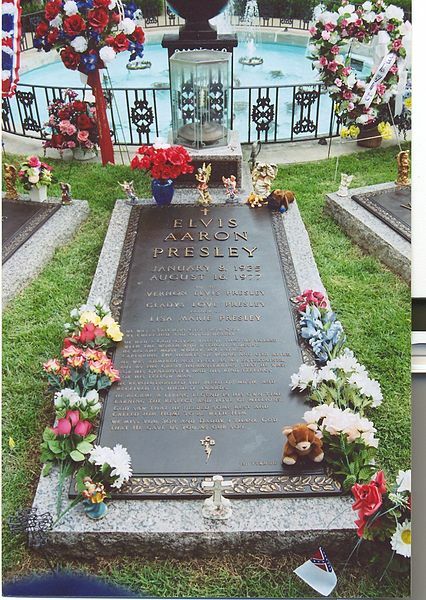 Traffic would also keep the dirt above the grave tightly packed down. This is important, particularly with vampires and witches. Such evildoers might be able to return from the dead and escape their coffins by tooth and fingernail, clawing their way to the surface to seek revenge. As an additional measure of safety, these ghouls, once executed, were buried face down. Should they wake from death interred and seek to dig themselves from under the earth, they would dig in the wrong direction. They would only dig themselves more deeply into the earth. The piece of wood through the dust-dry heart of the mummified corpse of Bradley County’s lady vampire wasn’t any old piece of wood. It was a cradle-lathed post, a bottom leg support, from one of the chairs that had been in the woman’s cabin on the ridge. The chair had been crafted by brothers Eli and Jacob from Shell Creek. Soon after her murder and burial, the woman’s furniture and other worthwhile belongings were carried from her home by those who desired them. The house fell to ruin. Nobody would live there. It wasn’t long until the Eli and Jacob chair, its round expertly replaced, found its way into a prompt series of trades among the citizens of Bradley County. No one wanted to keep that chair. After a few years, it ended up at one of the hotels. Someone, who was afraid to throw away or light fire to it, left it on the hotel’s porch at the end of a line of similarly made chairs. Legend says the chair sits as comfortably as any, with a finely woven seat of hickory splits. Well, at first. Then it becomes very uncomfortable for the person who sits in the chair. Nothing is seen, but plenty is felt. The occupant is held fast for a time, against one’s will, until a scratch appears on a forearm or bare leg, and blood drips to the floor. Only after a drop of blood stains the floor or the ground under the chair, is the occupant capable of fleeing from the chair. Those familiar with the blood-drawing qualities of this individual chair were afraid to destroy it, beat it to pieces with hammers, or catch it on fire, lest they be cursed in a manner much worse than a drop of blood hitting the floor. So they passed it along. The Eli and Jacob Odom handcrafted slat-back chair haunts eastern Tennessee still. Reports have placed it in any number of antique stores over the years. Others have sworn it was once on the creaky front porch of a bed-and-breakfast in Gatlinburg, on the college campus at Tusculum, and at a garage sale in Kingsport. Truth is the Vampire Chair of East Tennessee could turn up just about anywhere. The hope remains that it doesn’t turn up perched under you. Check back for more terrifying tales in out Haunted Halloween Countdown or pick up one of the spooky books they come from. On this All-Hallow’s-Eve Eve, we’re sharing our third ghost story and book giveaway. Today’s story features an old hag (when else can you use those words appropriately? 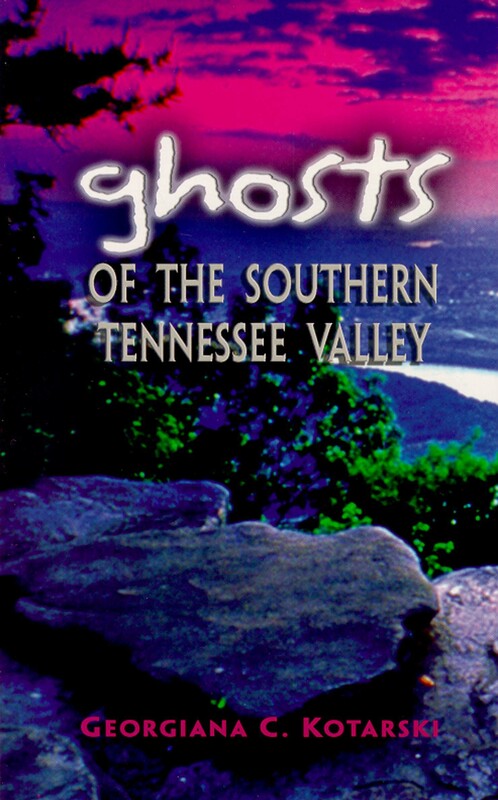 ), from Sullivan County in Tennessee, who has a spooooky secret of her own. Having difficulty reading the passage? Read it on scribd.com. Don’t forget to leave a comment on this blog post or on this Facebook image to win a free copy of this book. We’ll choose a winner at the end of business on Halloween (sorry, U.S. mailing addresses only). Good luck! For those of you who were introduced to Memphis Mayor Pete Pigg, our favorite politician from Blake Fontenay’s novel, The Politics of Barbecue, last week (either at Southern Festival of Books or through Jim Shahin’s column at the Washington Post), we’ve got something special for you: a playlist of Mayor Pigg’s favorite tunes, which usually appear in the book as ringtones on his mobile phone.